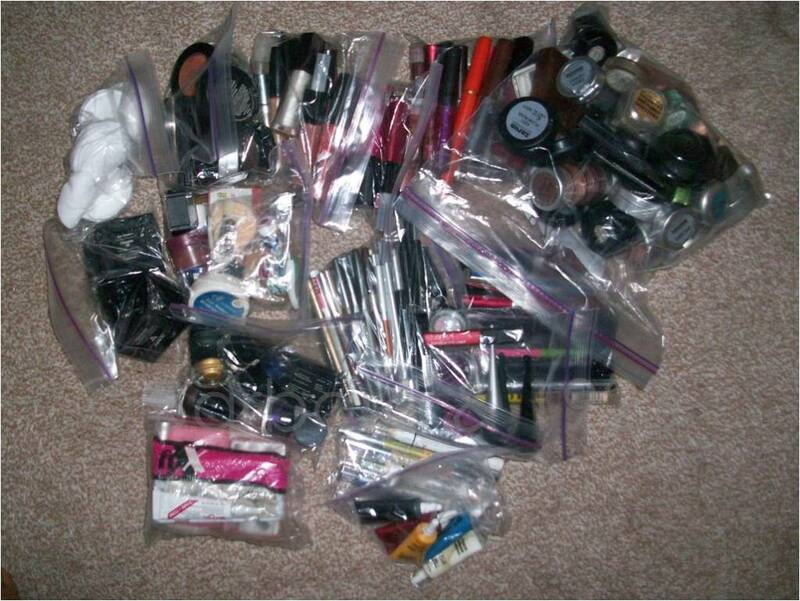 As a makeup artist or lover or even a regular makeup user, storage is a very important subject. 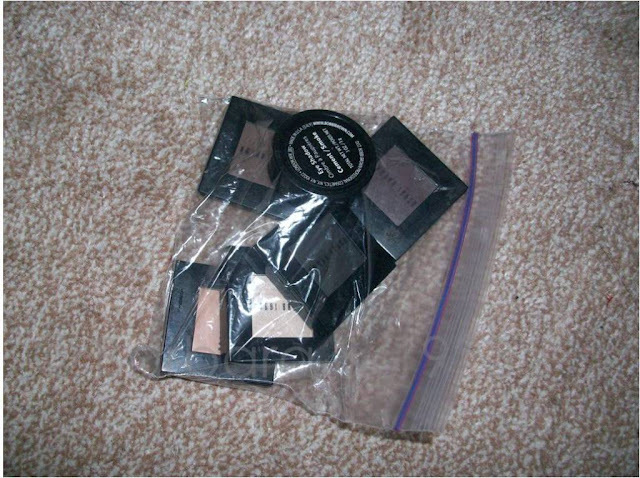 The issue of storage is most often tackled by using makeup purses. 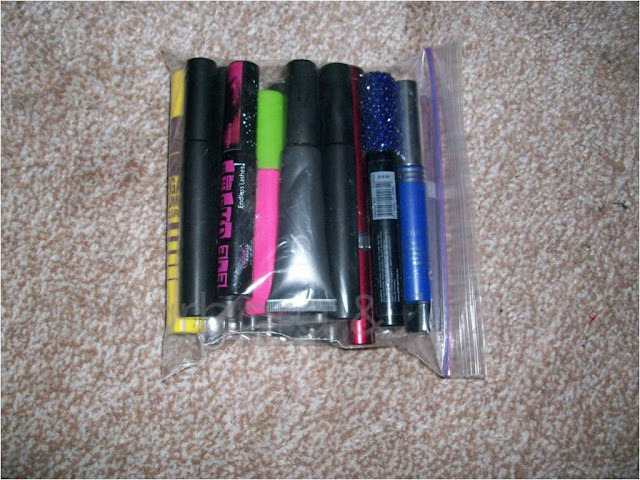 For me however, it is usually an uphill task finding just the right size of purse for my requirements. 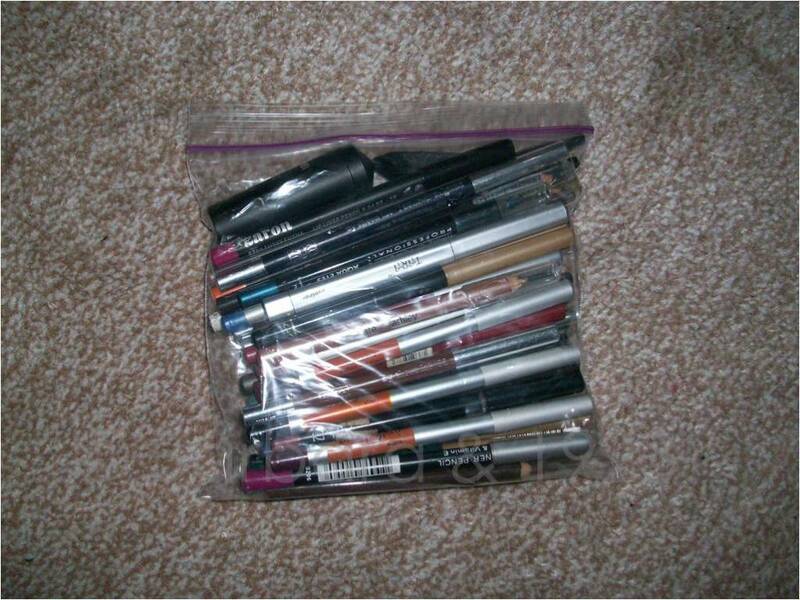 I have a big makeup box (or train-case as it is popularly called) which I hate to carry around because it is big and heavy and attracts too much attention especially when I need to take the bus. 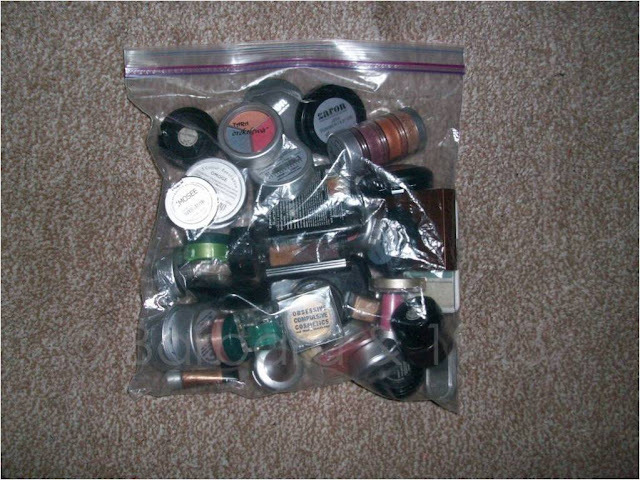 In order to solve this problem, I bought a regular carry-all bag. 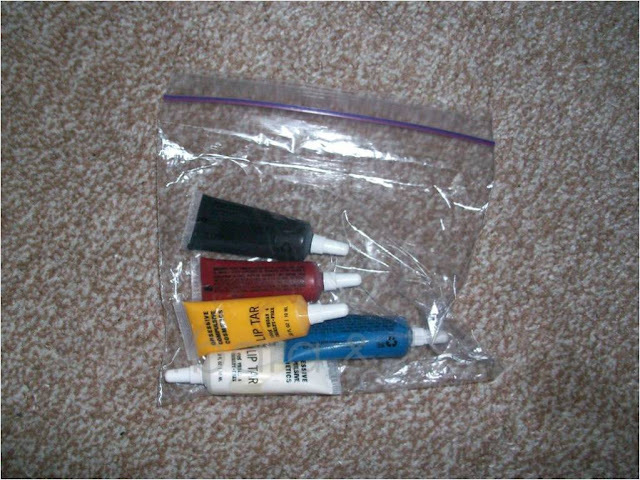 So what I do is deduce what the gig I am going for entails. I then pack everything i need into small purses and arrange in the carry-all. 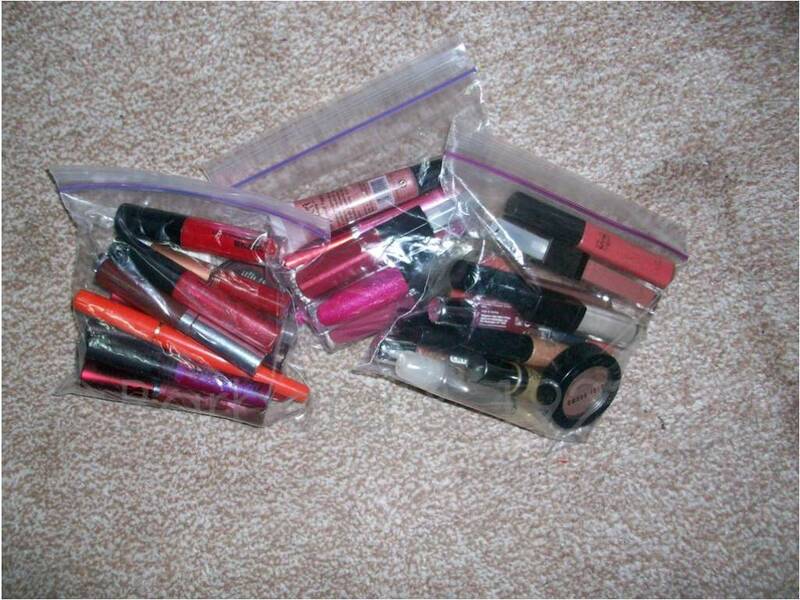 Having explained the difficulty of getting the right size makeup purses, I thought to myself "why not just use ziplocs?" I mean they are for storage aren't they? There are definitely much better ways to store products now, but since I don't have space for drawers and the like, this works for me right now and I am quite happy with it. In the future when I have more space at home, I will definitely be changing my storage method. Thank you Teju, I usually get them from super markets. be sure to read what size it is though. 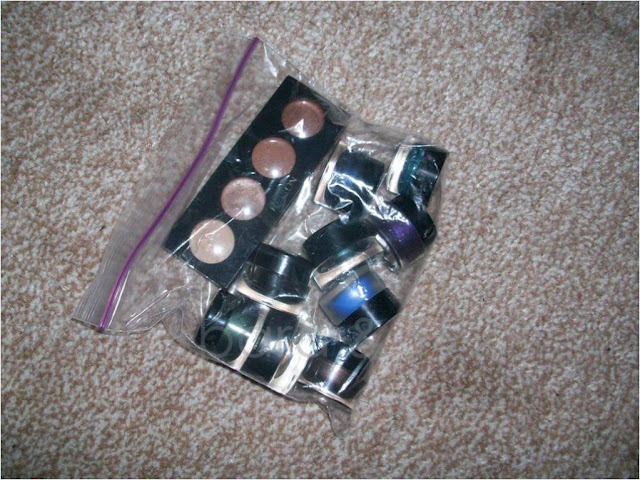 The one i used for the eye shadows is way bigger than the other size.